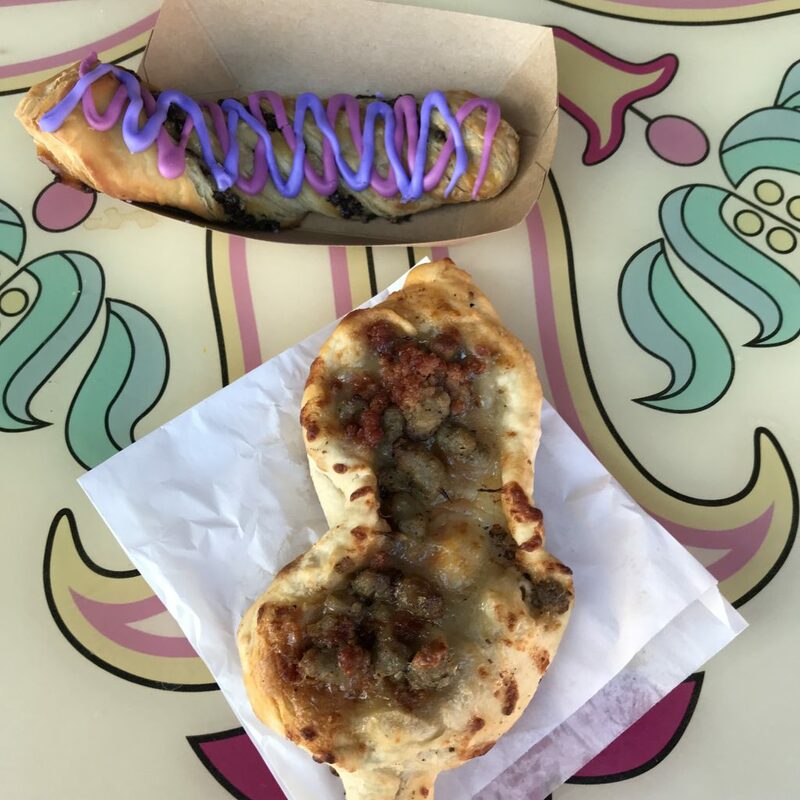 On a recent trip to the Magic Kingdom, I got a little hungry. I mean, all that walking around (seriously people – like 7 miles a day) makes a girl hungry. 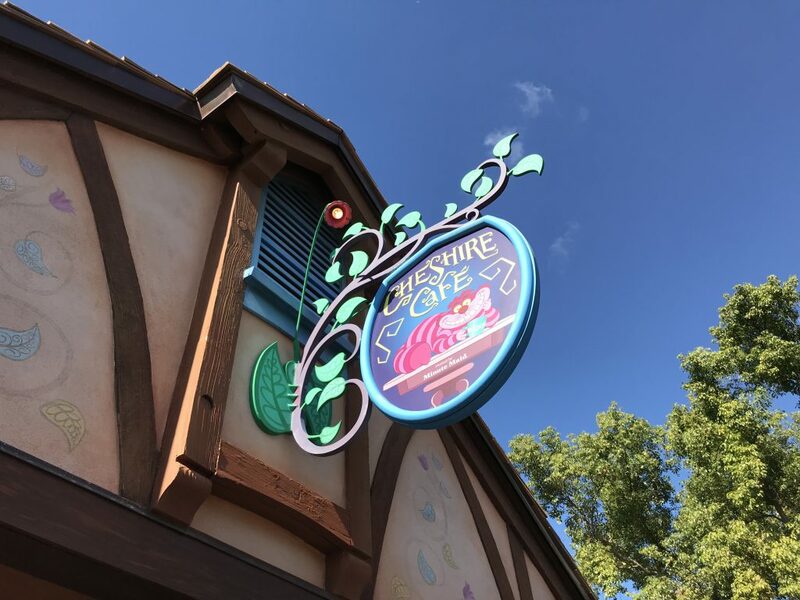 So, in the name of research, I decided to get a bite at the Chesire Cafe and write a review for you! Back to the Chesire Cafe. There’s a limited menu here, but it’s a fabulous snacking opportunity. In addition to the items listed above, they have a steady rotation of specialty snacks. When I was there, they had the Pizza Frustas so I decided to try that. 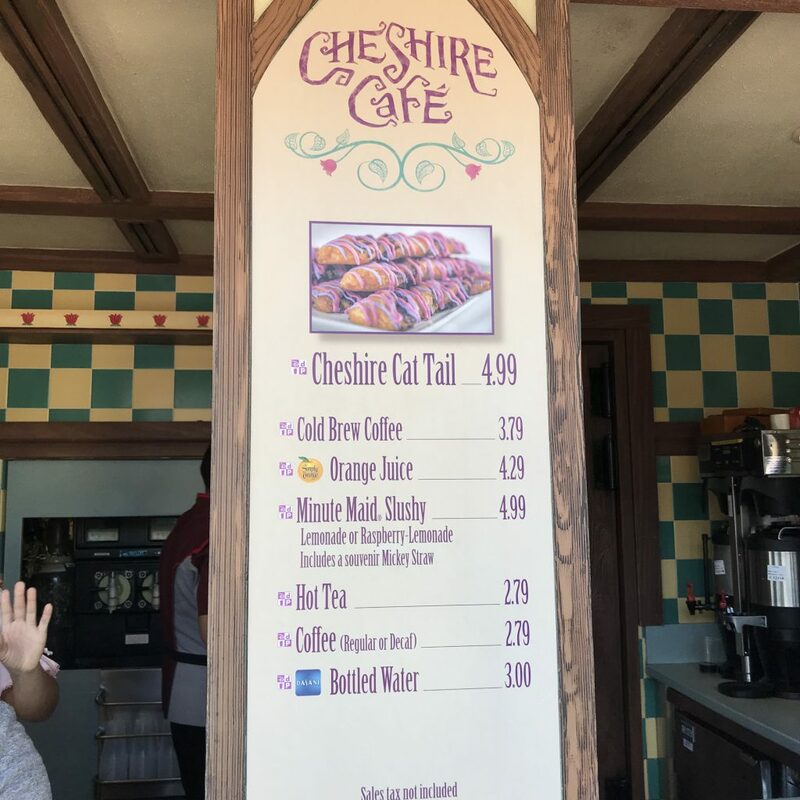 And, of course I had to try the Chesire Cat Tail – I mean, it’s the Chesire Cafe. Let me just say. I was impressed. 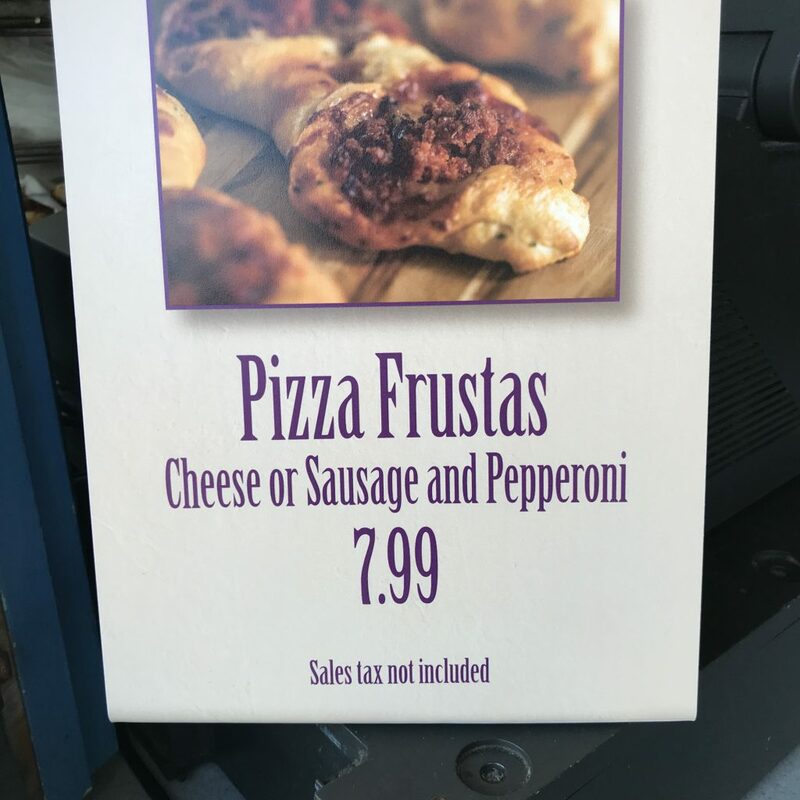 The dough on the Pizza Frustas was better than I expected. And, there was enough meat and cheese to give me the protein I needed in this snack. It was quite flavorful and tasty. Now, the Chesire Cat Tail… that was AWESOME. It’s a Disney chocolate croissant with icing on it. Um, yes. I said chocolate croissant with icing. I was a happy mommy enjoying that treat. And, I didn’t share it either. Well, to be fair, Maggie is gluten-free, and David doesn’t like sweets much. I was VERY pleased with my purchases at the Chesire Cafe. If I find myself hungry on that side of the park again, I’ll be stopping by. Have you ever eaten at the Chesire Cafe? How CRAZY is your May? Is your May as crazy as ours is in the House of Hills??? Every day brings another piece of paper to sign or email to read. And, I’ve only got one kid! I truly feel for you mamas of multiples. I can’t imagine how insane your calendars must look! We use Google Calendar, and everyone has a color. Its a veritable rainbow on there each and every day of May! Finals to study for (but hopefully exempt). The list just keeps going. I have to be very careful in May. I’m a list checker. I want to shout, “Mama does not have time for any more ideas!” But, I hold my tongue (or try to—I don’t always succeed), because her ideas—her dreams—are what give her life. I need to stop. I need to listen. I need to love. I need to remember that once the May crazy has passed, it will still be the three of us living and loving in the House of Hills. The checklists will be a thing of the past, but the relationships we continue to build with each other will live on. How do you manage the crazy of May in your house? However, I’ve never been the only writer in the House of Hills. And, I’m quickly being surpassed in talent and creative energy by my mini-me. Actually, she’s not so mini anymore, and she’s definitely so much more than me. Maggie has grown into an amazing young woman who loves God, loves people, and is passionate about knowing that they are loved, beautiful, and not alone. In fact, she started an Instagram about a year ago that has created an incredible community. If you have a young lady in your life, or if you just want to follow a pretty awesome Instagram account, then check out known_media. There’s a blog that accompanies the Instagram account as well. 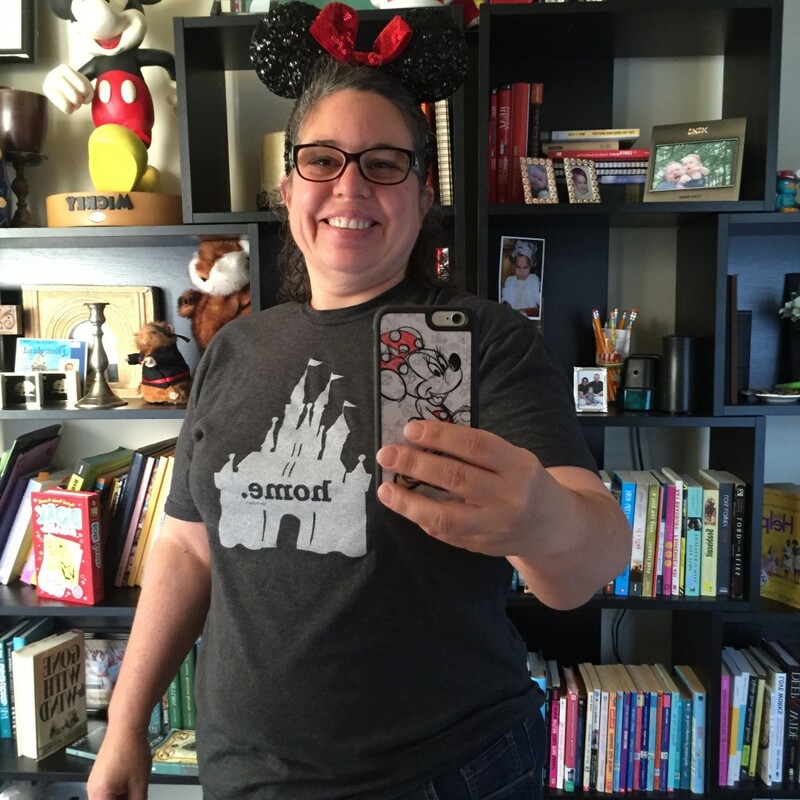 Head over and say “hi” to my sweet girl—and awesome writer. You’ll be glad you did. 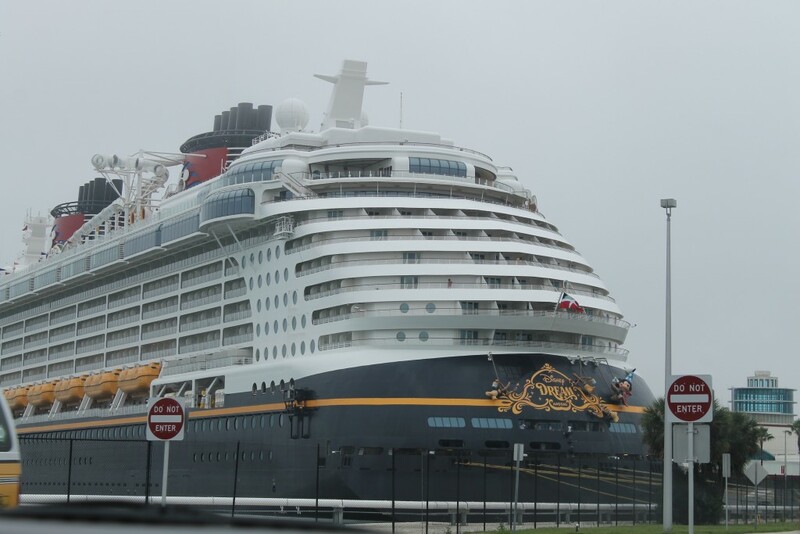 While we are praying fervently for those in the projected path(s) of Hurricane Irma (while still praying for our recovering friends in Texas), Disney Cruise Line is being VERY PROACTIVE in planning for the upcoming storm. 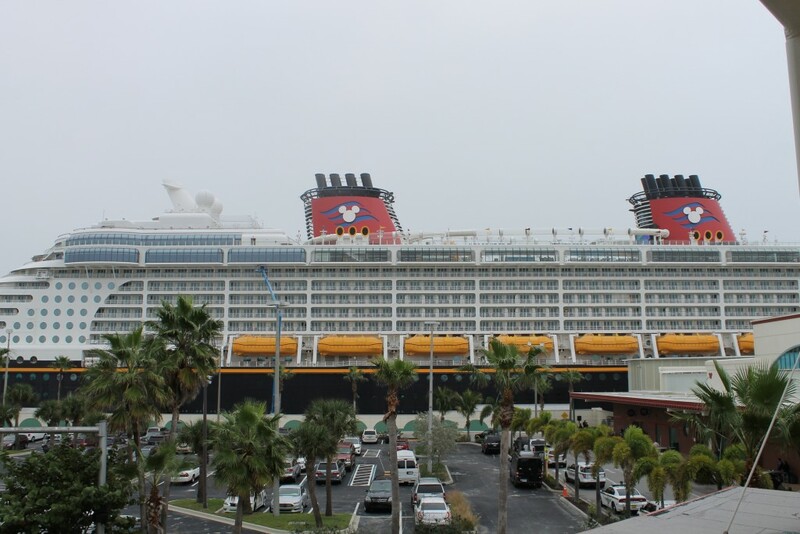 Today, Disney Cruise Line announced that it is canceling THREE CRUISES due to Hurricane Irma. 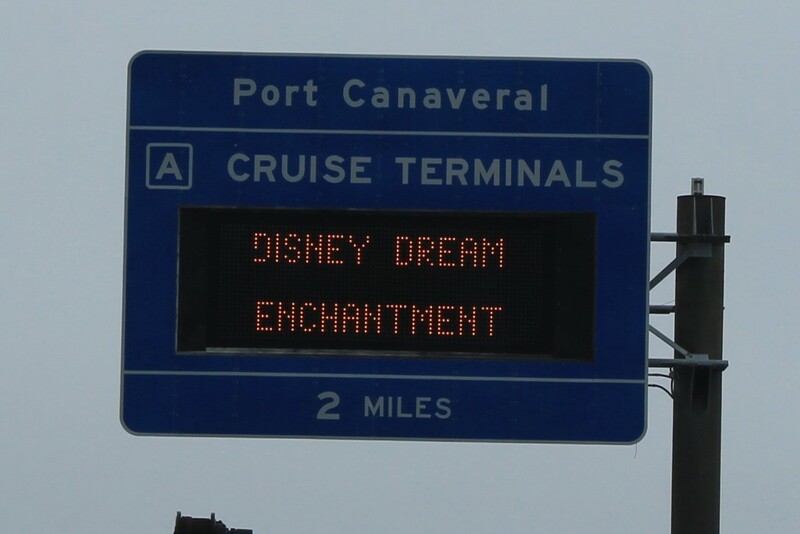 In addition, both the Disney Fantasy and Disney Dream are coming into port early on Thursday, September 7, 2017. 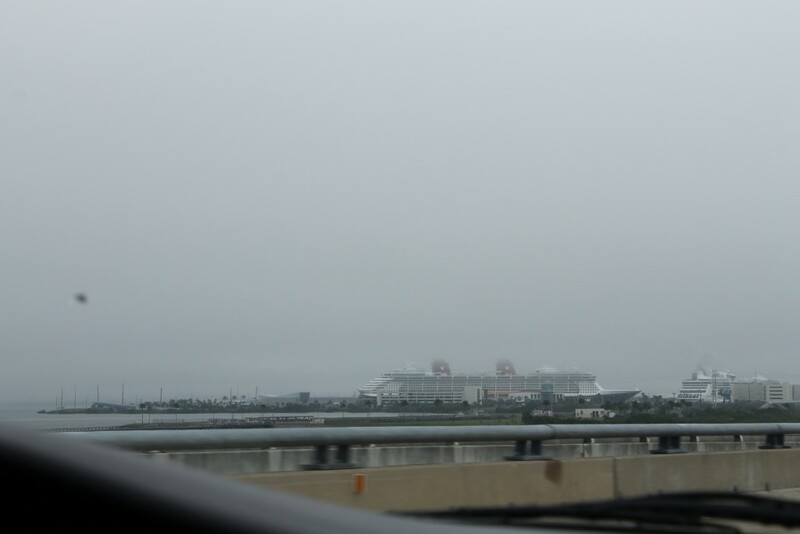 I will be continuing to follow the updates from Disney Cruise Line and updating my Travelmation Facebook Page. 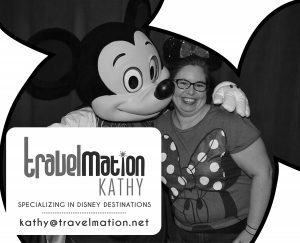 If you need help determining how Hurricane Irma affects your vacation, please contact me at Kathy@Travelmation.net and I’ll be happy to help you. Today, I spent time with just Miss B.
I honesty can’t remember the last time I did that. Or, in fact, if I’ve ever done that. Back when her mama was sick, I always grabbed both kids for outings to give her time to rest or see the doctor. Then, when Katie went to be with Jesus too soon, it was all hands on deck and again it was always both kids together along with my own. Children grow, schedules get busy and whenever we get together now it’s as whole families. The sisters and their husbands and their kids… it’s kinda chaos actually. The good kind of chaos, but crazy just the same. 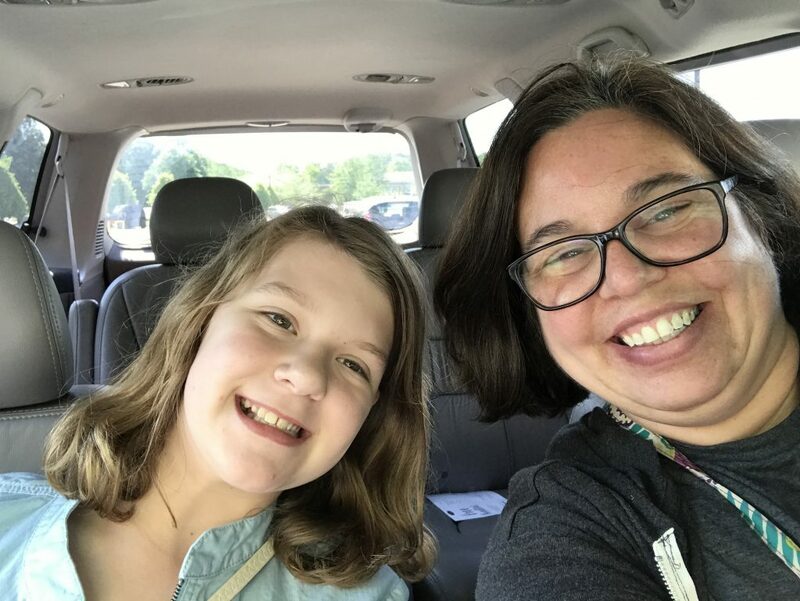 This week, God whispered to me that Miss B needed some girl time – some time without big brother – some time not with the grandmothers (I mean they’re girls, but come on, they’re grandmas.) My girl had plans, the hubby had plans, I was available so I schedule a girl day. And, we had a blast. And then a little shopping. 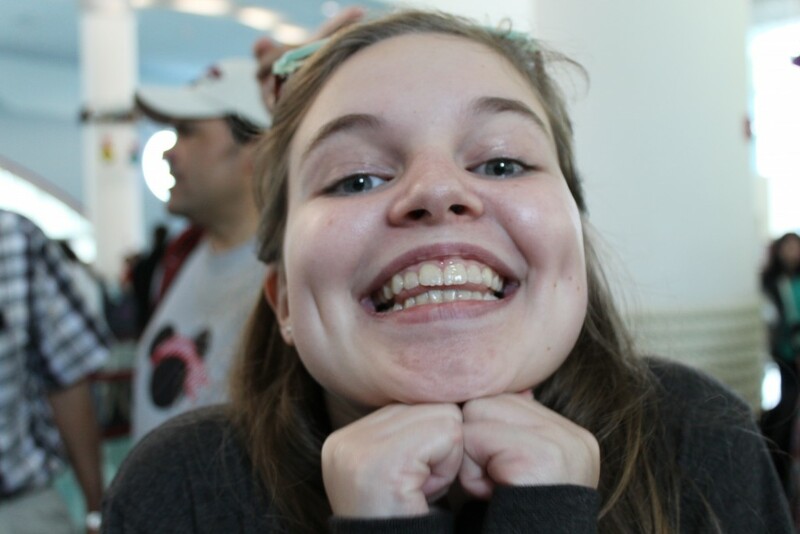 I took multiple pictures today because I want to remember that smile – the fun we had. I want to remember that I need want to do it again. 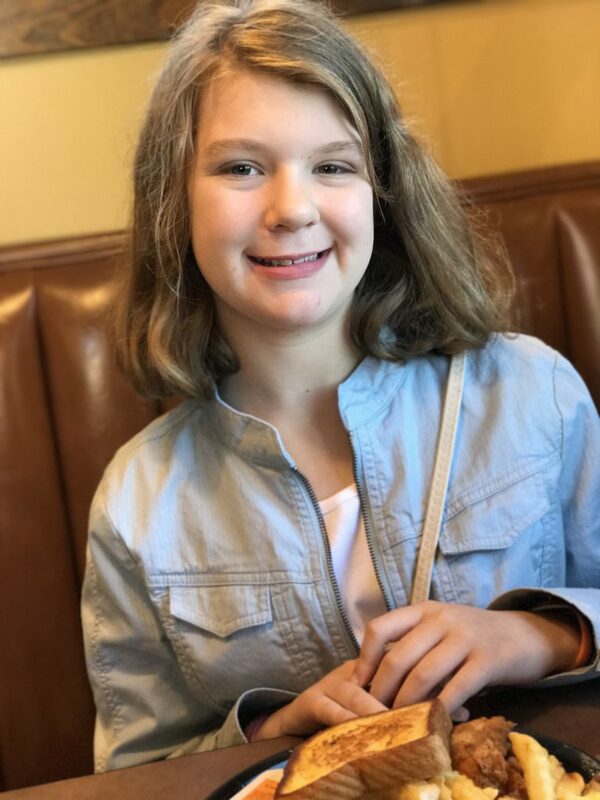 I want to hear this sweet girl, who lost her mother so young, bubble with joy and babble like tween girls do about nothing and everything all at once. I want to look at her face and see glimpses of her mama and remember how much fun we had before our babies were even born. We too went out to lunch and to the movies and giggled and talked about nothing and everything all in the same breath. 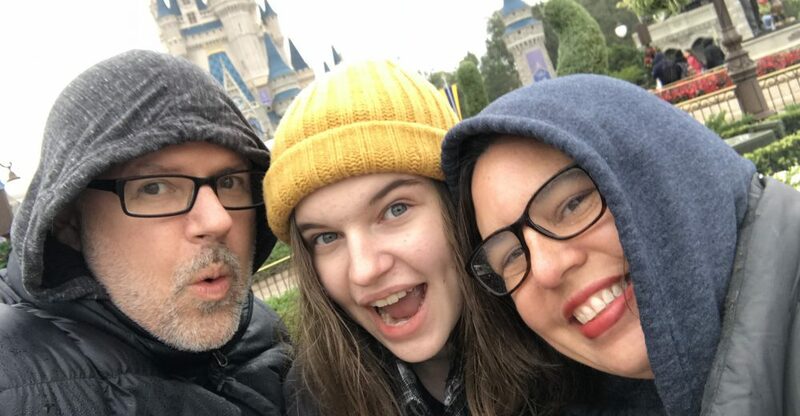 I want to remember that God made this precious, precious girl – a miracle child – to continue Katie’s legacy and make the world an even better place. I want to remember that I made a promise to my Katie to love her babies like my own and that can’t be done at arms length. You see, I kinda wonder if the reason I’ve not scheduled a girl’s day before is that I was afraid – so very afraid – that it was going to be hard. That it was going to hurt. That I would miss Katie even more when I spent time with her mini-me and remembered the plans we had to raise our kids together. I was right to be afraid. It hurt. It continues to hurt. Like a dull ache around my heart. It’s an ache I recognize as one that will never fully go away. The pain ebbs and flows, but it will always be. Do you know what’s greater than the pain? I can’t wait to see it again. 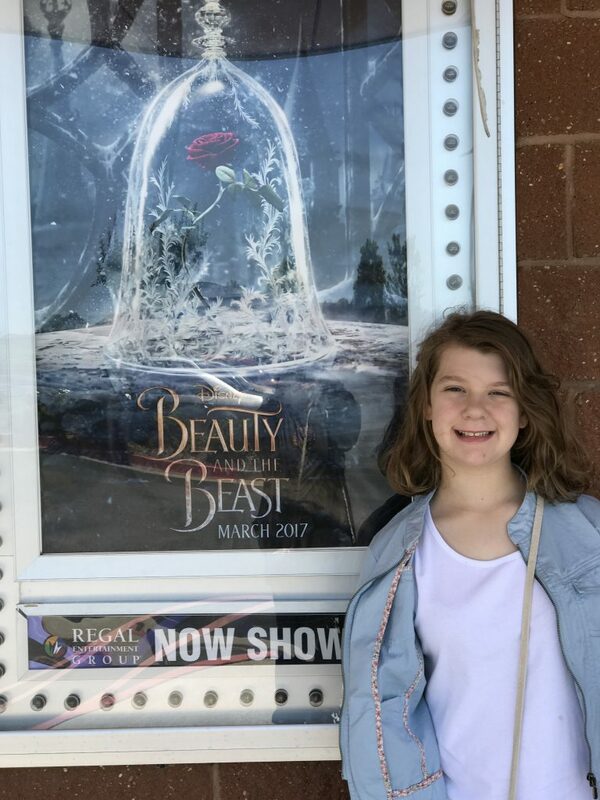 I had the absolute pleasure of seeing Disney’s Beauty and the Beast last night. It was a much anticipated event, and I was afraid the movie itself wouldn’t lead up to the hype. I shouldn’t have feared. Disney did it again. Now, I would think as a production company, Disney would be slightly intimidated by taking an animated, well-loved classic and turning it into a movie full of real people (well except for the enchanted objects). And, the stress of getting just the right actor to play each role, especially when we have associated distinct voices with those characters for years, that had to be overwhelming. However, whomever was in that casting office did an INCREDIBLE job. Each voice and face worked harmoniously both with the character they played and as an ensemble. My favorite casting by far was Kevin Kline as Maurice. He brought a depth to that character we have not seen before that I really, really enjoyed. Then, of course, there was the casting of Josh Gad as LeFou. While I struggled a minute with Olaf singing in a tavern, I quickly admired the depth of character Josh brought to the role. 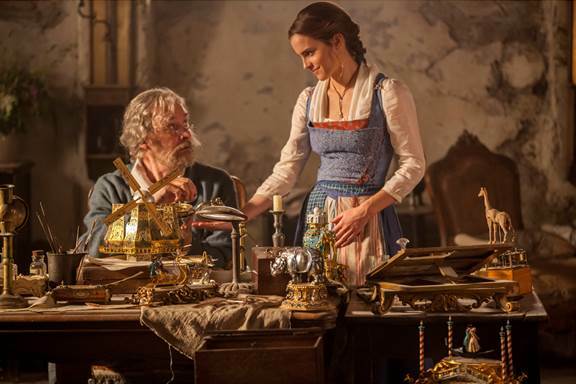 We see a whole different side of LeFou in this version of the story that makes his character even more likable. And, it makes Gaston even more the villain. 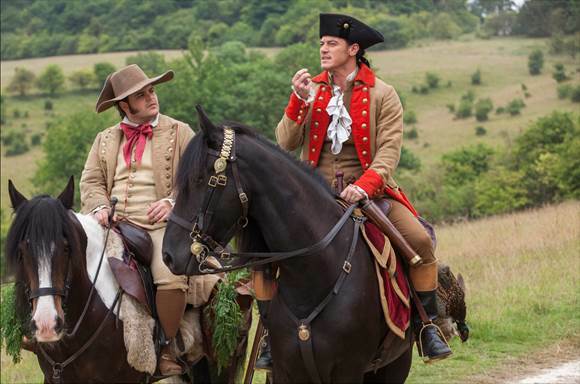 Now, I know there was much controversy before the release of the movie about the character of LeFou and his infatuation with Gaston. In my humble opinion, much was made from nothing. However, I’m not as eloquent with words as some of my blogging friends. If you want to read some excellent writing on the subject, visit my friend Amanda and/or Mary on their blogs. They’re the great writers, and I agree with them. Several friends have already asked me if I think the movie is too scary for preschoolers. That’s an excellent question. First, let’s remember that this movie is NOT rated G. It’s rated PG, and that should be enough of a reason to not take the smallest princess lovers to the big theater to see it. I would say the scariest parts are the same ones that are scary in the animated version – the wolf attacks and the fight between Gaston and the Beast. Those wolves give me the creeps. Only you know what your child can handle. So be sure to think it through before taking smaller children who frighten easily. You might even want to see it first. I REALLY enjoyed seeing this film and will be seeing it again in the theater. If you love this story, you will not be disappointed by this rendition. Here’s a little clip to get you ready. So who else has seen it. What did you think? I saw the movie with my own money and thoughts are all my own. Pictures and video are from the Walt Disney Company. Pi Day was last week. Everybody knows Pi Day right? The day of the year that starts 3.14. That one. Someone got really smart several years ago and named it that so we could all eat PIE on that day. I think that person is brilliant. I love pie. My office decided to celebrate Pi Day by having Pie Week. Everyone was invited to bring in items to share. The only real rule was that they had to be round in some way. It was an awesome week of feasting for sure! Because I love to bake (#HOHBakes on Instagram), I decided I’d do a different pie every day. This also gave me an opportunity to investigate new recipes for Thanksgiving. Because Thanksgiving = pie. On day one, I went with the standard PUMPKIN PIE. 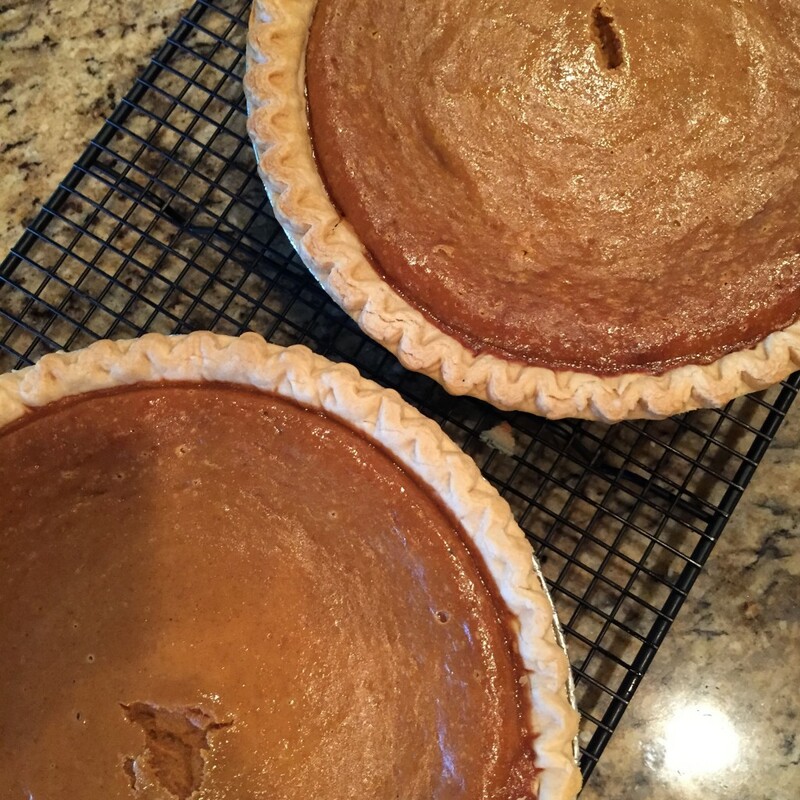 But, I made two of them because nothing is better than a pumpkin pie than two pumpkin pies. I’ve been using the same Pumpkin Pie recipe for YEARS and it’s basically the Libby one that is found on their website. You can see it here. The IMPORTANT thing about Pumpkin Pie is that you make it AT LEAST ONE DAY BEFORE you want to eat it. I actually recommend two days. That gives the flavors time to meld and become even more yummy. 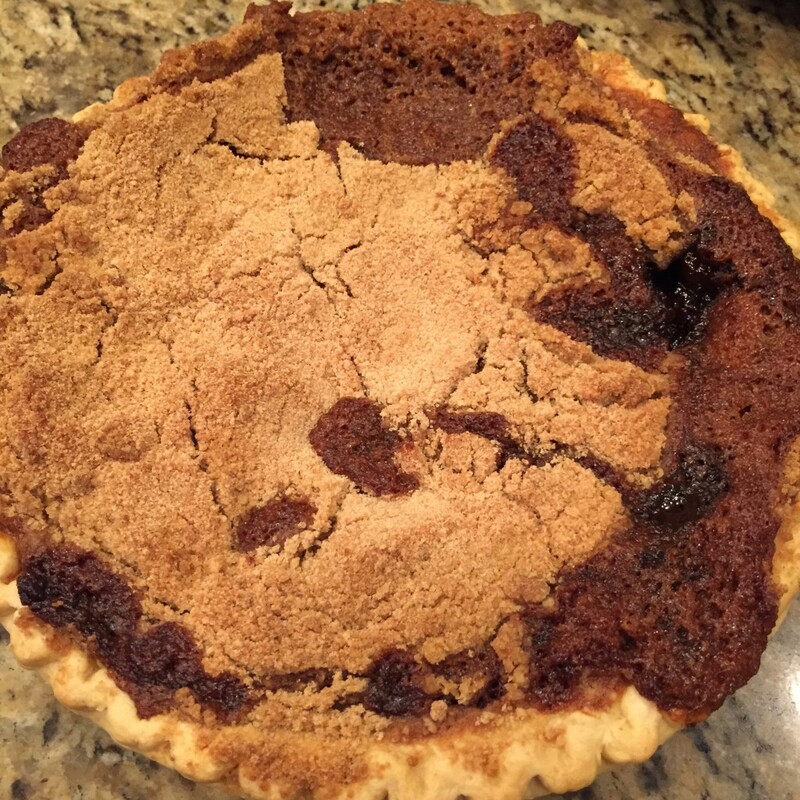 On day two, I made a family favorite, SHOO FLY PIE. When I brought this one in, my coworkers from the North were very excited, but those who grew up here in the South were speculative. They’d never heard of it, and it had the word “fly” in it for goodness sakes. Now, I will admit that I’ve never made a Shoo Fly Pie that looks as good as those of my Pennsylvania Dutch extended family, but that’s never stopped anyone from eating it. Shoo Fly Pie is basically a molasses pie, and IT IS GOOD! I can’t give you the recipe (’cause it’s my Grandma’s), but if you do a web search for “Shoo Fly Pie” you’ll find a plethora of recipes. For day three, I went to Pinterest to find something new to me. 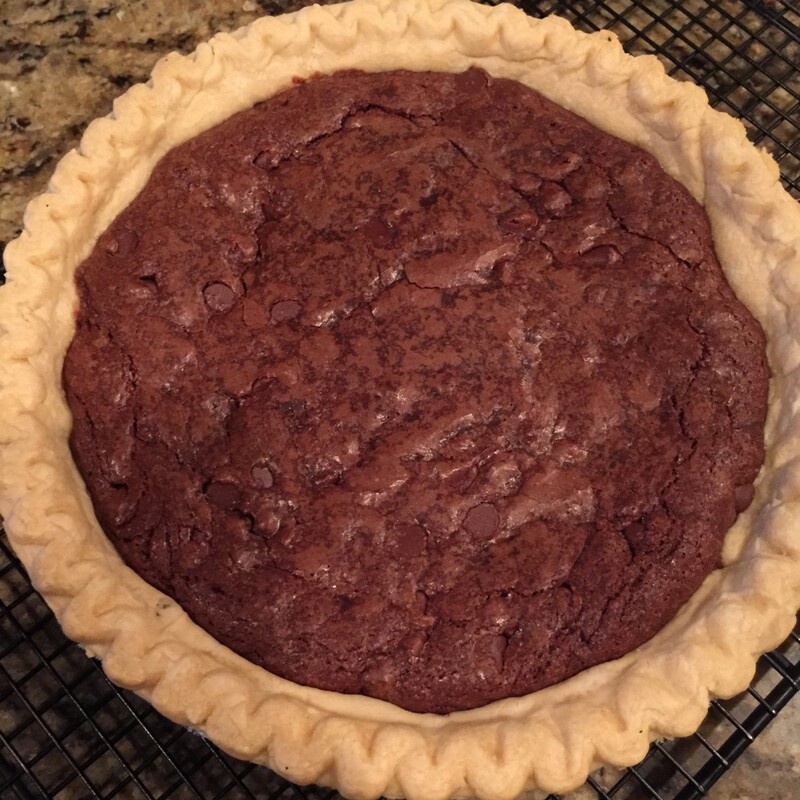 I decided to make Brownie Pie, and was very happy with my choice. So were my office mates. This one went fast. This recipe was SUPER EASY and very yummy. It was even better with some whipped cream on top. I’m pretty sure it’s going to show up at Thanksgiving this next year. On the final day of Pie Week, I decided to go big. 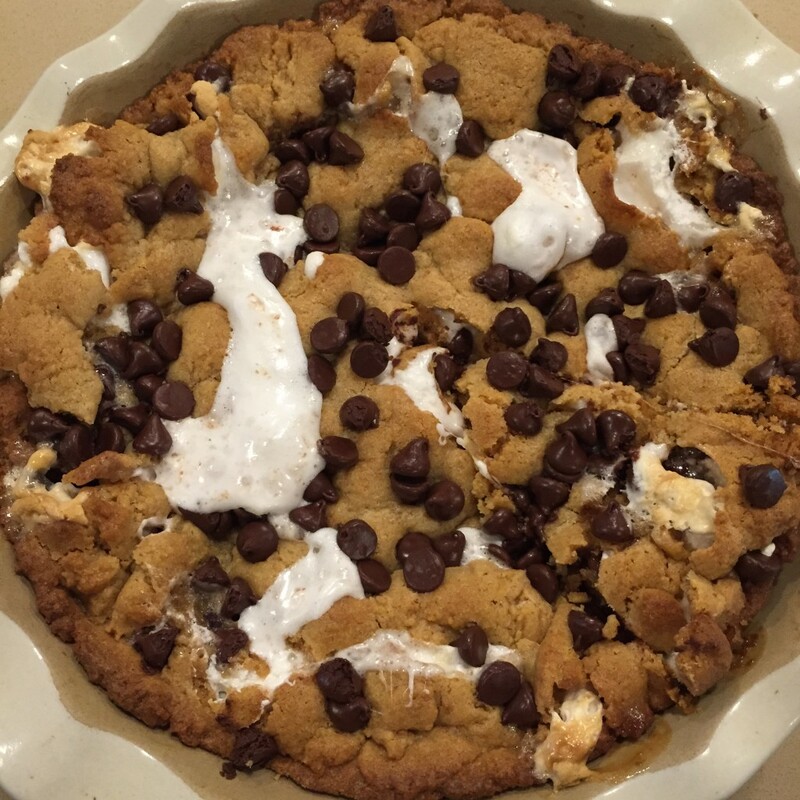 I went for Smore’s Pie. This one hit it out of the park! OH. MY. WORD. People, this pie has FIVE ENTIRE HERSHEY BARS in it. The recipe called for eight Hershey bars. I couldn’t bring myself to put in that many. I might put in at least one more next time though. I highly recommend this recipe. It wasn’t hard, but wasn’t as easy as the Brownie Pie. Not to be outdone by all my co-workers that were bringing in savory forms of “pie” during the week, I decided to bring in a Taco Ring one day. 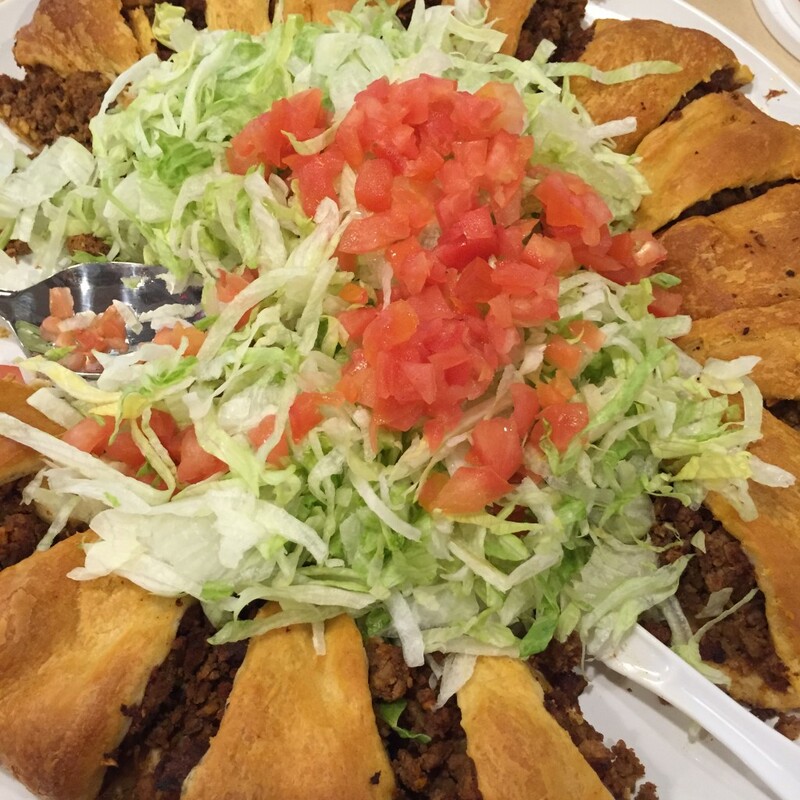 If you’ve never had a Taco Ring, you’re missing out on a quick, tasty dinner. It was a classic for Pampered Chef parties when I was a consultant YEARS ago, but sadly has gone out of style. Everyone at the office enjoyed it, and this recipe might be a great addition to your dinner rotation. Did you celebrate Pi Day? What did you have? Five years ago (I can hardly believe it’s been that long. ), I went to a “little” blogging conference called Blissdom, where I shared a room with three strangers who became friends. One of those amazing ladies, my very good friend, Mary, has written a book. And, I was honored to receive an advanced copy. Isn’t it beautiful?! Before receiving the book and being part of it’s launch team, I knew a bit about it’s co-author Sara. I knew she and Mary had been blogging friends. And, I knew that Sara had passed away in the fall of 2011, just a few months after I had lost my Katie. I remember reading some of Sara’s posts in that grief-induced fog that surrounded me in 2011. I remember how inspired I was that she was determined to “Choose Joy” no matter the circumstance. I remember that I couldn’t really imagine that at the time. So, when I heard through the grapevine that is social media that Mary was pulling together a collection of Sara’s posts and putting them into book form, I couldn’t wait to read it… until I got the book. I knew that reading this book was going to pick at the scabs that are always tender around the wound losing Katie left. I knew that with the fifth anniversary of her passing rushing towards me like a freight train, reading about someone else’s struggling with illness was going to be hard. Then, I received this for Christmas from a loving friend and co-worker who knew nothing of my reading the book plight. And, I laughed. With joy. And there was the need for many tissues. And, I healed… just a little bit. There are SO MANY things I could share from this amazing book that my friend put together to honor an amazing woman and make sure that her message of JOY is never lost. And, I hope to share them all with you over time. (I mean, I think I used half a package of Post-It flags on this thing.) However, this is my favorite. Throughout the book, we hear again and again through Sara’s words that JOY=TRUST. When we trust God, we will find the joy. When we choose to let go of our fear and give it to Him, we CHOOSE JOY. As I read, I was reminded of how much I hold on to my fear. I plot and plan and prepare. I try to control the future. I try to predict what “might” happen. I don’t always let go. And, I for sure don’t always choose joy. I’m praying that as I move into 2016, that I can “stop praying for what I want and start praying for Him to change my heart for what He wants. I pray that I can be aware of His opportunities. It requires me to trust Him completely.” It requires me to CHOOSE JOY. I’m so thankful I was given this book to read, and I’m even more thankful for the two women who poured their souls into making it happen. 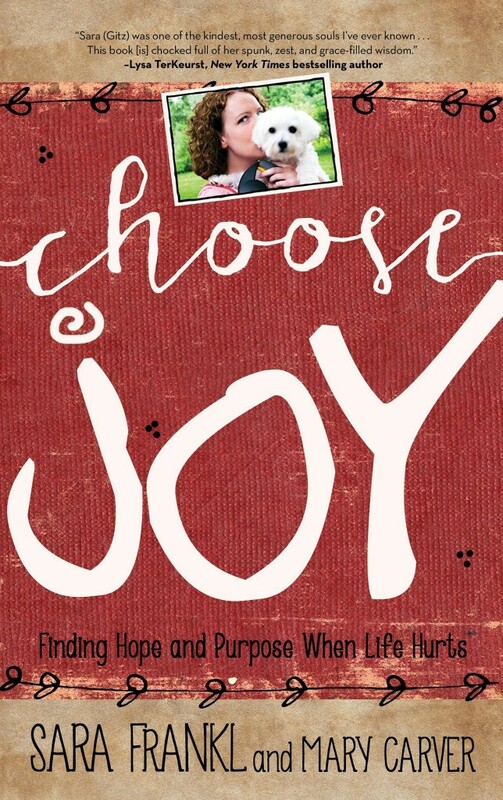 As of today, January 5, 2016, you can get your copy of Choose Joy, Finding Hope and Purpose When Life Hurts. Go ahead and grab one for your girlfriend too. You’re going to want to read it together. Oh, and make sure you have some tissues. You’ll need them. I was given a copy of Choose Joy to read for this book review. All opinions are my own. All links are affiliate links.